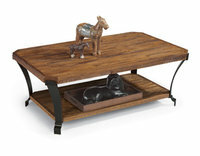 For over 50 years Al’s Furniture has been perfecting the furniture buying experience for you. We find the highest quality furniture, at the best price, so that every piece of furniture you buy from us, will provide you the best value for your money. 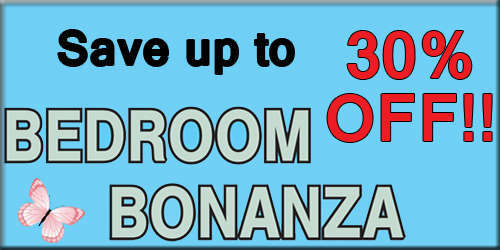 Additionally, when our manufacturers have special offers, we pass the additional savings on to you. Our customers love being able to hand down their furniture to their children or grandchildren, when they decide they want a new look for their home. Quality furniture retains its value, even after many years of use. Our founder had a belief – “I’d rather explain the price once, than apologize for the quality forever.” And this has been our company’s philosphy since day one. When you visit Al’s Furniture, not only will you be visiting a piece of history in our remodeled 1904 Stoddard School building, you’ll be able to see and experience the furniture that you will be taking home. 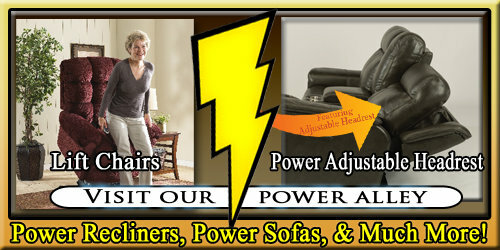 In our huge showrooms, you’ll find Bedroom Furniture, Mattresses, Dining Room Furniture, Home Office Furniture, Recliners, Coffee Tables, Sofas, Sectionals, and the biggest selection of Power Reclining Furniture (including Power Lift Chairs) anywhere in the valley!! When you want quailty furniture that will last you for generations rather than just a year or two, then you’ll want to make that short drive ‘waaay out’ McHenry Avenue to Al’s Furniture store in Modesto. 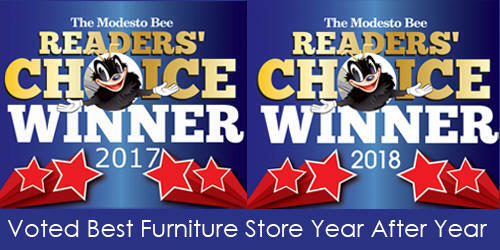 We’ve been voted Modesto’s Favorite Furniture Store year after year. 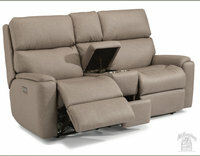 Stop by and let us show you why you’ll want to make Al’s Furniture your favorite furniture store. Call us at (209)524-7533 or email us! 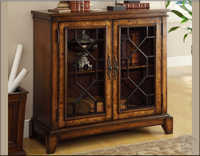 Before delivery, we un-box, clean, assemble, and inspect every piece of furniture for defects, blemishes, and damage. Then we prepare your furniture for delivery, by wrapping each piece to protect it from damage, during transport to your home, or office. 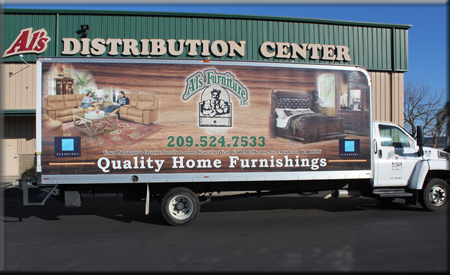 Our professional delivery team will arrive in our own Al’s Furniture delivery trucks. We deliver 5 days per week, and we will work with you to find a time that works for you! On delivery, Al’s Furniture Delivery Team completely assembles each piece of furniture. Your furniture is then re-inspected to make sure that it works properly, is completely clean, undamaged, and placed exactly where you want it - we do it all. This is our standard of excellence, and we will not cut corners! 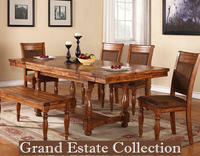 We guarantee that when you trust us to deliver your furniture, we will exceed your expectations! Our furniture delivery includes delivery and setup of your furniture for a very reasonable fee, which varies with how many miles we have to travel. We deliver to all the following California cities as well as areas in between; Modesto, Turlock, Oakdale, Riverbank, Ceres, Salida, Patterson, Waterford, Empire, Tracy, Ripon, Valley Home, Hughson, Hickman, Escalon, Manteca, Valley Springs, Sonora, Stockton, Lodi, Merced, and Atwater. If you don’t see your city listed just ask! You can opt to pick up your furniture from our warehouse instead of having it delivered. 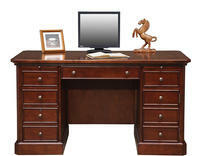 Our IN STOCK items can be picked up in minutes from our own local furniture warehouse. 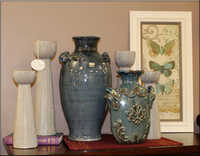 We will assemble and clean your items for you to inspect. Then our staff will load and assist you in securing of all items into your vehicle. Al’s Furniture has twine available if you forget to bring your own tie-downs. After you pick up your furniture a member of our sales team will call you to make sure your pick up went well and to see if you have any questions. **Remember, when picking up your new furniture in your vehicle, as soon as you remove your purchase from Al’s Furniture Warehouse, we are no longer responsible for damages resulting from improper transport!